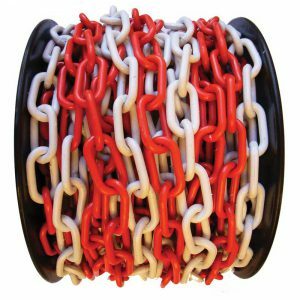 The plastic chain is made of new materials of PE and PP. The specifications are 3mm, 4mm, 6mm, 8mm, 10mm. It applies to shopping malls, parks, parking lots, etc., and plays the role of guiding and isolating traffic.